Tigerair allows a carry-on allowance of max 2 pieces with a combined weight not exceeding 10 kg. Or so the tag says. I made sure that I pack the lightest stuff, eg. tracksuits that weigh no more than 100-200 g each. 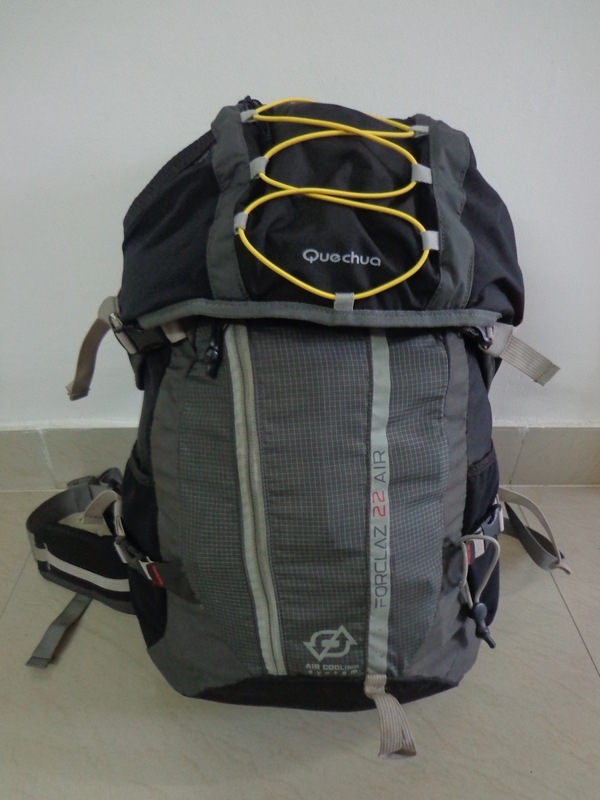 Quechua for the win! 22 l Forclaz and a 5 l Arpaez strapped to it. The entire assembly weighs less than 7 kgs. The wait time is a true test of patience. Firstly, a person needs a lot of patience to travel from Mahadevpura (or HSR for Nandy – my travel partner) to the Bangalore airport on a weekday. That too, during the evening when everyone is commuting from their office to their home. I left about 3 hours early. I barely had 45 mins to check-in when I reached the airport. 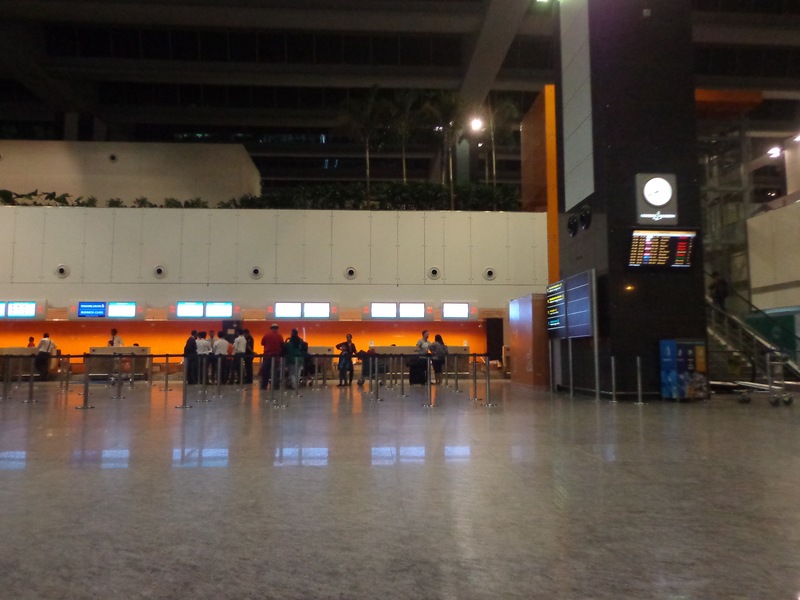 The 3 lone counters of Tigerair is operated by Air India staff. They were helpful enough with the process and the immigration-customs-security checks were relatively fast. The strangest part was the serpentine manoeuvre through the empty nylon strapped guide lines. 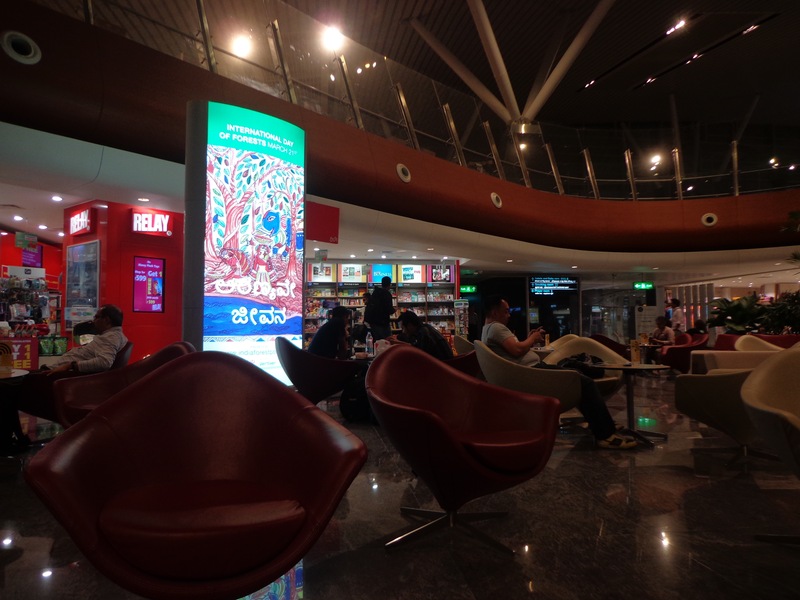 The relatively vibrant international lounge. Most people around me have already fallen asleep on the chairs and sofas as I upload this entry. A colleague of mine* suggested that I make a note of all the stuff in the duty free shops en route to my destination. That way I can pick things up on my way back and I do not have to worry about lugging around too much weight. *Rueben Dinakar wants his name to pop up on a search result. I hope this entry will help him in his quest.